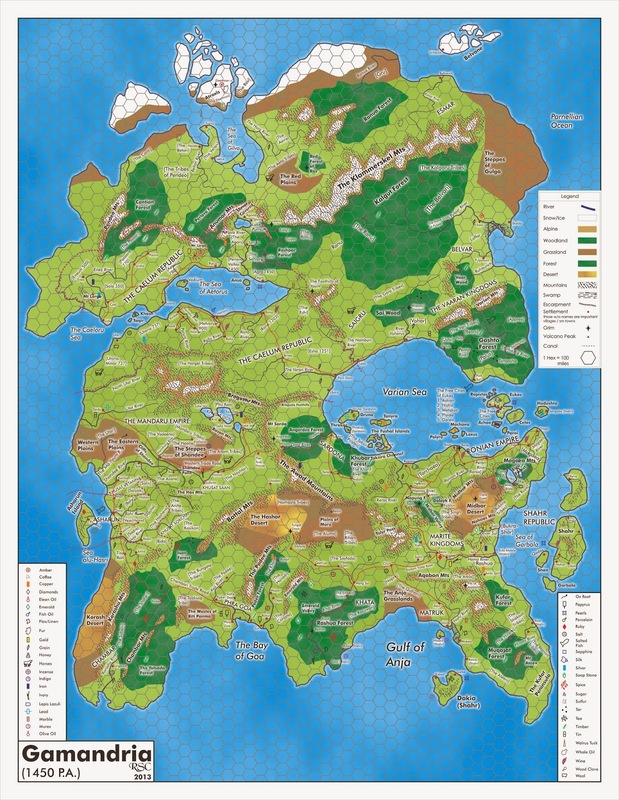 Here is the final world map of Gamandria for Sertorius, by Robert Conley. This is the color version which will be available in the PDF and as a free download. The print edition will contain black and white maps (but anyone can download the color version once Sertorius is released). All the areas identified on the map are described in the rulebook. 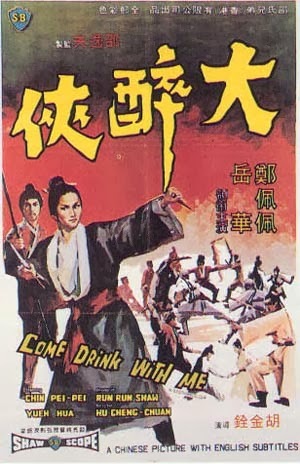 Fate is important in the Wuxia genre. It crops up all the time, whether it's coincidental meeting of characters or bad things that just keep happening to the same person, again and again. We've tried to incorporate that into Wandering Heroes of Ogre Gate, but in a way that reflects the play style at our own table. This part of the game is still in development, and some of these ideas are either half-formed or just exploratory, so what I am about to discuss may change. 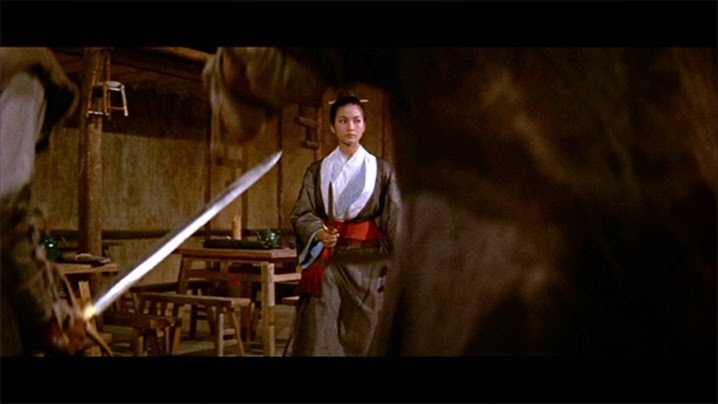 While we want to emulate the Wuxia genre, as a GM (and to a lesser degree as a player) my style is often described by the other people on the design team as tending toward realism. By that they don't mean I obsess of details or dig deep into the physics of a character falling thirty feet, they mean I care about the game feeling like it takes place in a real place. I tend not to push events or plot elements because they are convenient for what I want to do as a GM, I like them to flow from what is going on in the campaign naturally. This isn't said because I have disdain for other approaches, just to establish my own personal style in this regard. So for me, the idea of just taking genre elements and making them so in a setting doesn't feel right. For me to do that, and for it to feel comfortable, the genre elements need to be a part of the setting itself. An example of this is our approach to fate. In Wuxia characters talk a lot about things being fated. People were fated to meet, to fall in love, to be enemies, to lead a sect or suffer a series of personal tragedies. It becomes clear if you watch enough of it, that Fate is a real thing, it is the work of Heaven. In Wandering Heroes of Ogre Gate Fate is also real, it is part of the cosmology, and believed to reside with The Enlightened Goddess (I will discuss The Enlightened Goddess in more detail in a later blog entry). On the one hand, I picture Wandering Heroes of Ogre Gate as a sandbox. I don't normally do pure sandboxes, but for some reason my Wuxia campaigns tend to fall mainly into that category. Maybe because the genre lends itself well to sandbox. So it is very much a game where the player characters wander around and explore the setting. On the other hand there is fate, and this is where the more active elements of the adventures can come in. In a way this gives the GM permission to go beyond simply having things happen because they flow logically from in-game events (though this is still a big default assumption of the setting). Sometimes things happen because of Fate. It isn't meant to be heavy handed, more of a light, and gentle presentation of developments to the players. Think of it as an occasional intrusion of Fate in the lives of the player characters. There is also a Fated Flaw, that players can take at character creation. The Fated Flaw brings Fate into the game in a much heavier way than the light, occasional intrusion mentioned above. When a character takes the flaw, the GM secretly rolls on a chart, which presently has thirty possibilities. This is the characters Fate, and if you have the Flaw, it will come up often. Results can vary, but they can be anything from "fated to be adored by many admirers who want to be the one and only" to "fated to a life of grudges and blood". We have only just developed this part of the game and began testing it this week. I had two players take the Fated Flaw, and incorporating those into the campaign has been interesting. As play tests continue, I will post about more about it. I imagine it will change a great deal from now until release of the Wandering Heroes of Ogre Gate PDF. We playtested Wandering Heroes of Ogre Gate last night and it went very well. We noticed a few things that need cleaning up and we found some areas where more abilities are needed. On the whole it works well. One big change to Ogre Gate is to Defenses. Because the genre really doesn't emphasize armor, and the Sertorius core rules do emphasize armor, we had to make adjustments. 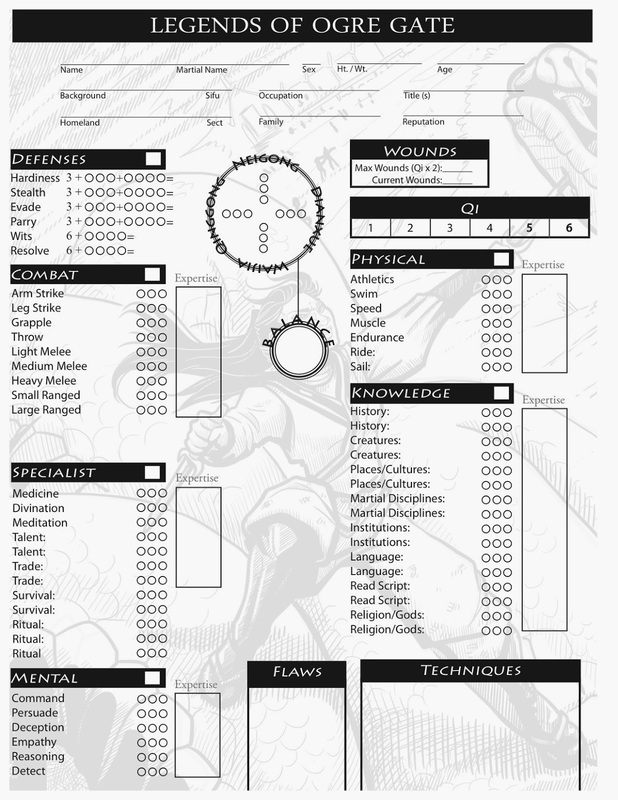 This is reflected on our character sheet to the right (still has the old name of the game, but otherwise it is updated). As you can see, unlike other Network character sheets, the Defenses can be raised to 10 (whereas they can only be raised to six in Servants of Gaius or Sertorius, with armor being needed to take you higher). Instead, characters can take up to three ranks at character creation, plus they may increase individual defenses by 1 for each level of Qi they possess (and Qi goes up to 6). This allows you to make a character who is walking around with 10 Parry at Qi Level 6, for example. In the play test it seemed to work well. That way you can forgo the armor, and wear something lighter and more genre appropriate. Another change is your health increases by two for every level of Qi you possess, giving characters between 2-12 wounds. This is different from all other Network games we have made. We have been hammering out Kung Fu Techniques lately. 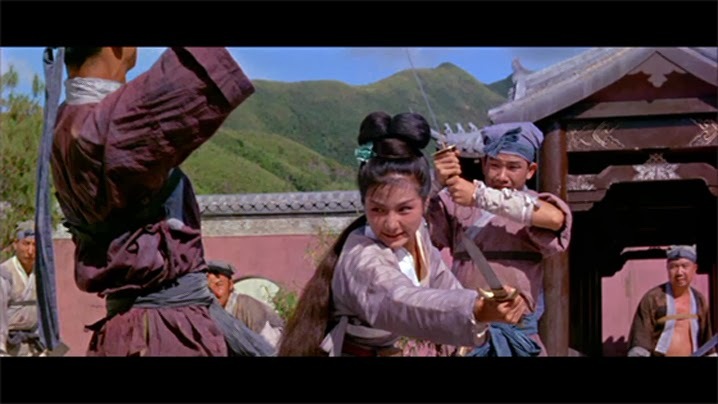 These are divided into four groups: lightness kung fu, martial kung fu, internal kung fu and pressure point (we give them fancy names, but these are the four basic categories you see in most Wuxia television shows and movies). In addition every Kung Fu technique has a type: Block, Counter, Stance and Normal. This just indicates some of the basic things a technique can do in a round. For example, a counter can be used to interrupt another person's attack, when it isn't yet your turn. Like counters, blocks work off turn, allowing you to deflect incoming attacks. Stances are like stances in real martial arts, you adopt a stance and that gives you certain advantages and disadvantages while you maintain it. Another feature of the game are the sects. These are the clans, cults, sects, orders and gangs you see in so many martial arts films. While we draw from a number of films and genres, our sects are most strongly influenced by television shows based on Louis Cha and Gu Long, like the Condor Heroes series. We have a master list of sects and are developing them further as things progress. They are becoming much more important to running the game than previously expected. I will go into this in a later blog entry though. Fate is also important. We added a Fated flaw, and two players took it last game. Again, I will explore Fate in greater detail in a later entry, but for now I can say it is becoming more important than was previously expected. A large section of the GM advice will be devoted to managing Fate and Sects. It is hard to isolate the characteristics shared by good game masters. Ask 100 players what makes some GMs better than others, you'll probably get a 100 different responses. Still, in my experience gaming over the years, I've noticed there are common qualities among the best referees. I've also observed that no GM is static. Someone who runs great games 52 nights of the year for three years, can fall out of this pattern and go from a great Game Master to a mediocre or terrible Game Master. Like anything else in life, bad habits can emerge even the most practiced. By the same token, terrible GMs can grow and become magnificent. That is why lists like this are sometimes handy. Even those who are demons behind the screen, occasionally need to go back to basics, and everyone can improve, no matter how good they are. These are just the habits, personality traits and behaviors I have observed in good GMs over the years. They are prepared: This one is a bit of a no-brainer, but it is the easiest thing to neglect. Good GMs show up ready to run the game. What preparation that entails will vary from one person to the next, but you can always tell when someone shows up without having done enough prep. Preparation isn't just game notes, it is having a handle on the system, being organized with your gaming material, and being ready to play when play begins. They are relaxed: In boxing they say the victor is often the most relaxed fighter in the ring. This holds true for many things in life. When you are relaxed, you perform better. When you are nervous or tense, you are more prone to flub. A little stress is good. Someone who is too relaxed won't even bother to keep the game exciting. Still, I see a big difference in performance when the game master is at ease. I find this in myself as well. I've noticed when I first game with a group of new people, things feel a bit off for the first ten to fifteen minutes or so until I get comfortable and start relaxing into the role of GM. So relax, relax, and enjoy the game. They are not worried: This pairs with the previous trait. When game masters worry too much about outcomes, focusing on the destination rather than the moment, it affects the player's enjoyment. By outcome I simply mean whatever expectations the GM has in mind. This isn't about railroading so much (though it includes that) as it is about fretting that the game go perfectly, that it be exceptional in some way, or that it doesn't fall apart. Worrying about those things in my experience, usually just makes them more likely to happen and when they do occur it leads to fluster. When things go to hell, they stay calm: Again this is linked to the previous two. Games can fall apart, things can take a nose dive hard in RPGs because it's in their nature. It includes so much freedom of choice on the part of the players, sooner or later most GMs find themselves caught off-guard or a step behind. And it is social game, so every once in a while, a GM can bomb just like a comedian can bomb. When that happens, the best referees seem to stay calm. This is a habit that has helped me out a lot. If you don't panic, it is a lot easier to get your footing. You can learn a lot of if you stay calm and just observe how and why the nose dive unfolds. It isn't the end of the world. They are not perfectionists: This is a point some may disagree with, but in my experience the better GMs haven't been perfectionists. They know not every session will be brilliant, and they don't stress over that fact. Some of the worst GMing I've seen stems from striving too much toward perfection, believing if every session isn't hit out of the park, it is a sign they failed in their task. They doesn't mean they don't work hard, or they don't care, just that they don't have unrealistic expectations. They are effective at resolving conflict: Good GMs know how to manage conflict at the table when it arises. I don't normally see much in the way of hostility or argument at the table, but when I do it is definitely a buzz kill. Because the GM is the one managing play, he has an important role here. They enjoy GMing: Game mastering is challenging but rewarding. You have to put in prep before the game, and during the game the spotlight is on you to facilitate things. If you do not enjoy either the prep or the act of running a game, it isn't worth it and it will affect peoples' enjoyment. Good GMs like being in the GM seat and they like doing the prep work. If you are not excited about making NPCs, dungeons, setting material etc, then all these elements tend to come out flat. They think about the game and gaming: When the game session ends, good GMs continue thinking about it. They ponder the possibilities, consider the ramifications of the last session and use it for fuel. They also seem to be the types who just spend a lot of time reflecting on gaming. This pays dividends in play, and is the prep work before the prep work. 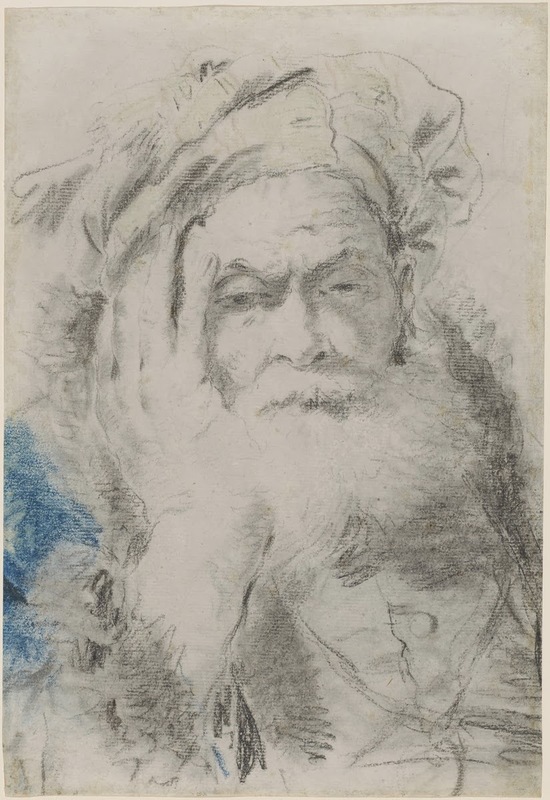 Before putting anything down on paper, it is a good idea to just sit and think. They learn from their mistakes: No GM is perfect, every GM makes mistakes. The difference between the good and the bad, is the good ones learn from their errors. They look at mistakes as opportunities to improve. All of the really good GMs I know, have at least one story of a pivotal bad experience they learned from. They don't realize how good they are: There are exceptions to this of course, but I find the better GMs don't know they are great, and don't spend time boasting about their abilities behind the screen. Maybe feeling like you still have room to grow, helps keep a GM in shape. Or maybe not being too big on the ego helps them focus on the game itself rather than their own personal sense of glory. I am sure there are boastful, arrogant GMs who are astounding, I just don't haven't met any. A little over four years ago, we released our first game: Terror Network. To this day it remains the most popular RPG in our Network line. That isn't too surprising when I think about it, because the game occupies a niche and we put a lot of work into it. I spent months and months researching the background to Terror Network, and in play test the game worked very well for what we were trying to achieve. But among our games, it generates some confusion, and I received a number of emails over the years from people with questions about planning adventures. The source of the confusion is mainly what kind of movies or books Terror Network is intended to emulate. 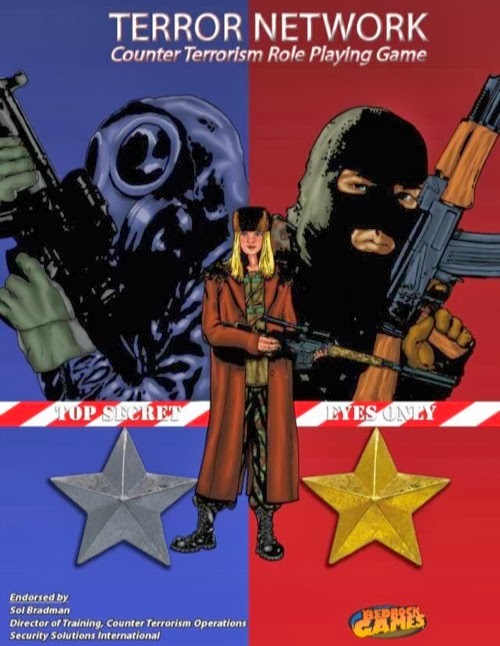 When Bill and I first started Bedrock Games, in fact before we started Bedrock Games, I had been talking about doing a counter-terrorism RPG for some time. But I never did so with a notion of making a game that played like 24 or Air Force One. I imagined something where you ripped adventure ideas from the headlines and played FBI or CIA agents. I did realize 24 would be a source of inspiration for GMs, I just never saw it as something like 24: The RPG. For me Terror Network was not a cinematic game. It was not based on action movies or even serial dramas like 24. This is clear if you look at the lethality of the system and the relative parity of health between all characters in the game (two characters firing guns at each other have about an equal chance of being killed during the encounter). A lot of PCs in Terror Network who bust down doors to take out the bad guys end up in the hospital or worse. We wanted a game where you had to really think about consequences. As we play tested, we added in a "High Octane" option for people who desired more of a Jack Bauer experience, though that wasn't how I ran the game. If they did follow any kind of television series or movie I guess it would have been procedurals, but I wasn't particularly focused on those either. For me running Terror Network usually meant an investigation or mission with very little concern on my end for drama or pacing. I saw it more as a puzzle or challenge set in the real world, where the focus was on character interaction and finding clues. Some sessions were focused entirely on situations in need of resolution. As an example we spent a whole evening of Terror Network with a single stand-off between the FBI and members of militia-group. The session started with the players at their FBI office, and they got called in to the scene, working SWAT teams and others to bring the situation to a resolution. A single stand-off against 3-4 terrorists in a small little compound took about four hours of play. It involved information gathering, negotiation, research, and careful planning of tactics. In the end the characters breached the compound but many were shot, and I believe one or two were killed in the process. Clearly not Jack Bauer. This was all very street-level and naturalistic. A bit everyday with players basically playing characters who have a job. It just happens to be an interesting job that intersects with terrorism. This was our first book, so I probably could have conveyed that better to readers. In our follow-up supplement The Agency Resource Guide, we tried to clarify our GM advice and offer new advice for different approaches to the game. When we get around to doing Terror Network Revised Edition, I hope to address some of that in the GM section. In the mean time, I am glad to hear that players are still enjoying Terror Network, and am proud of the modules and supplement we put it out for it. We tried to make magic exciting in Sertorius. The spells allow you to do all kinds of things, from splitting your body into duplicates to creating a copy of another person or calling down a massive wave of fire. When characters attain enough followers, they can even gain the power to burn an entire city or disrupt the flow of time. And the system allows you to keep casting spells. What reigns them in, is the process of becoming a Grim. Every spell in Sertorius can be used in one of two ways, for a weak minor effect or a more potent display. When you use a spell at full potency you expose yourself to dangerous energies that can warp your body and mind over time. This is represented by Grim Points. You gain a number of Grim Points whenever you cast a spell at full potency. If you gain enough, your mind, then your body, begin to transform. Initially this is subtle, perhaps your arms turn scaly or you start having paranoid thoughts. If you persist without recovering, then things intensify and you can turn into a monster called a Grim Beast. You can also turn into something called a Grim. Grim Beasts are powerful creatures, and treated as NPCs and monsters. When you turn into a Grim Beast, you cease to be a player character. They come in a variety of forms, but are mainly classic threats from traditional fantasy and myth. Some of the more common Grim Beasts are minotaurs, liches and banshees. But there are others like the dybuk that are less well known. While these bear the names and some of the characteristics of the source material, we also took great liberties. Minotaurs for example look like normal people most of the time and transform into giant flesh eating bull hybrids when they get angry. Those who turn into Grims fuse with the land around them, becoming a sentient environmental presence. The specific form this takes varies from case to case, but one example is Karima head of the great library in Shahr (called The Library of Karima in her honor). Hundreds of years ago, Shahr, a halfling coastal empire, was attacked by Gru who sacked the capital and entered the library. Karima used her magic to protect their remaining scrolls from the attackers and in doing so was overwhelmed by her own magic, becoming one with the structure. 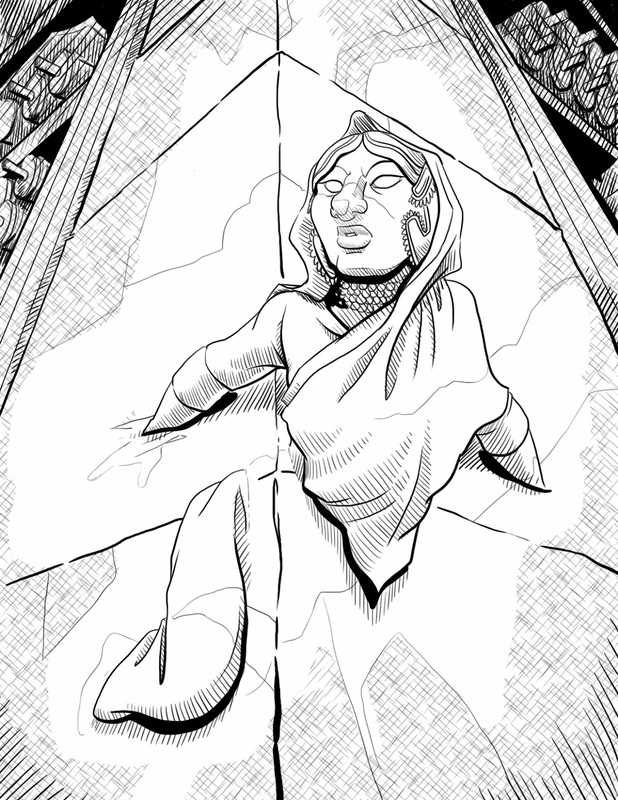 When she desires, Karima appears through the stone and has the power to shape the rooms and walls of the building. Though primarily benevolent, she has been known to trap great minds in sealed off chambers, forcing them to write until they die. 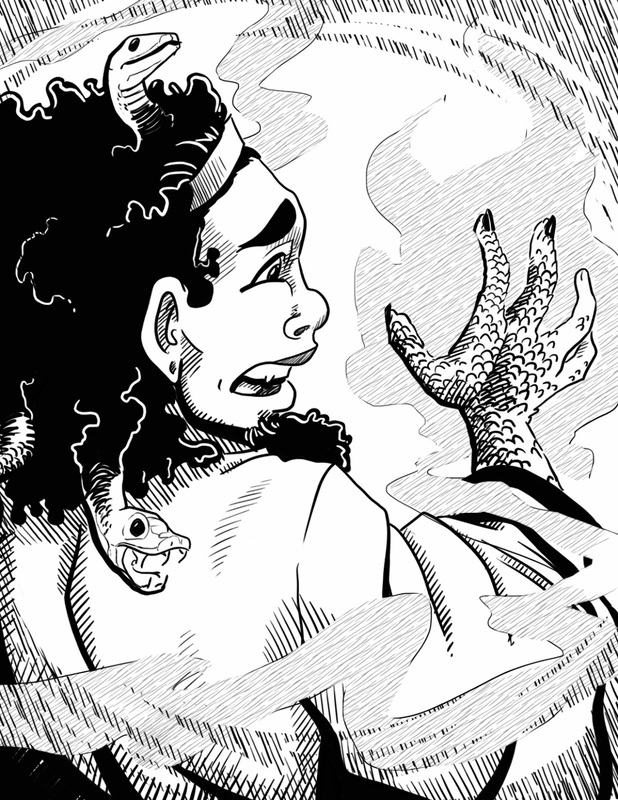 Karima is one of a handful of "pleasant Grims", who provide some benefit to the local population. Most of the others far more sinister, bringing harm to those who trespass into their territory. We found in play tests that this was a highly effective mechanism for keeping magic in check, while allowing it to remain a mysterious and powerful force. But Grims and Grim Beasts serve an additional purpose in the game: adventure. Defeating Grim Beasts is no easy task, defeating a Grim even more difficult. Taking on either is an adventure in itself. When Grims appear suddenly you can be sure the locals want to deal with the problem and the first people they will call upon are Sertori. Every GM treats these a bit differently but I drew on my experience running Ravenloft and treated them as monster hunts or mysteries and ghost adventures in need of solving. The players were either hunting down and eliminating the threat, or they were learning about the threat in order to confront it or lay it to rest. Now that we are getting close to the release of Sertorius, I wanted to talk about the team behind the game. As always, Bill Butler and I worked together on the project but we felt the game needed another point-of-view so we brought Dan Orcutt aboard. Dan has been a member of our play test groups and our regular campaigns for some time. He is a skilled writer and excels at system mastery. When I run 3.5 he often doubles as a living rules encyclopedia. I felt this was the right blend of talent and perspective to give Sertorius more scope than our previous RPGs. At its core, Sertorius is a Network Game, like Servants of Gaius or Terror Network, yet it is also more robust. It retains the simplicity of our past projects, while enabling you to dig deeper and draw on more mechanical possibilities. Dan played a big role in shaping that. I've always worked best in teams of three, because its easier to bounce ideas without getting an echo chamber effect. All three of us are just different enough that we were forced to give our best, because each person brought their own high expectations. Bill excels at asking the hard questions for any mechanic or setting component. If you bring a new idea to Bill, it is a virtual certainty he will spot the potential problems it creates by combination with other parts of the game or unforeseen events in the setting. He has a keen eye for those sorts of issues, probably because he runs and participates in several weekly games and is the most veteran GM of the three of us. Dan has a strong head for math and is endlessly creative. This really helped us explore the probabilities that emerged with the dizzying array of options the magic system presented. More than that, he brought a new critical eye to our system. Dan's been playing in my Network campaigns since the early stages of Terror Network's development. Since then he's been in numerous Crime Network, Horror Show and Servants of Gaius Sessions. In fact, Dan's feedback on Servants of Gaius was essential. He also has never been shy about sharing his opinions about the game. There were always pieces of it, here or there, that annoyed him, and I thought having that kind of critique while we built the next variation would be useful, because we wanted Sertorius to be different. Our prior games are all no more than 100-114 pages in length. That forces you to stay tight on word count, and keep the rules to a minimum, even when we wanted more. This time around we knew we'd have a much bigger book with more elements (magic, afflictions, a campaign setting, more monsters, etc). We had room to breathe and set out to use that space well. This wasn't about creating tons of rules for their own sake, it was about having the amount needed to keep Sertorius campaigns afloat for many years. To that end we performed two kinds of play tests: scenario tests and campaign tests. This meant having 1-2 regular Sertorius campaigns as we designed the system, but also running combat, magic and skill scenarios on off-days to check out the mechanics in specific situations. An important part of that process were the meetings between the three of us afterwards. These could go on for some time, and often involved disagreement over what worked and why. I can't speak for the others, but that really forced me to evaluate things more objectively and distinguish between what I wanted because of my own desire to put my personal stamp on the system and what the game needed. By the end of the project all three of us learned to make this distinction, and I could see the improvement in the game itself as a result. We've taken that design approach forward as we started work on Wandering Heroes of Ogre Gate.